While spending this past week ‘in the field,’ I was able to follow a bit of the Security Council’s discussion on countering terrorism as well as the 25th anniversary celebration of the Convention on the Rights of the Child, one of the most ratified of all UN conventions and one of the organization’s signature achievements. The Convention’s language is filled with caveats related to children’s limitations and vulnerabilities, but this really is about rights of children as much as about the obligations of adults. In a world which for many of us would be borderline intolerable without the presence of children in it, the Convention reminds us that while we have not done nearly enough to ensure developmentally appropriate protection and education of children, let alone secure their future, the obligations to children contained in this Convention are, in some significant sense, the very least we can do. Children were also on the menu at the Budapest Human Rights Forum, now in its 7th year, and more especially in the side event organized by György Tatar and his colleagues with the Budapest Centre for the International Prevention of Genocide and Mass Atrocities. The latter event was on education for mass atrocity prevention, a topic similar to one covered during this fall’s opening of the GA hosted by the UN special adviser on the prevention of genocide, Adama Dieng, along with ministers from Belgium and Ghana. The Budapest Centre event, however, was a bit less about the control and potential of the internet (the focus of both the UN event and the Forum), and more about learning skills and materials needed to help stimulate understanding and involvement of young people in the struggle against mass atrocity violence. Consistent with their reputation, the Budapest Centre brought together a wide array of stakeholders, from United Nations officials to the leadership of educational programs in Bosnia- Herzegovina. Speakers were engaging though they tended to mostly highlight the activities and accomplishments of their own organizations. There were few attempts to step back from immediate needs and activities to address larger governance and development concerns. And this is the point at which some significant questions became relevant, two in particular. The first was related to an issue that we have taken up previously in this space, the relationship between activity and impact. How do we determine that we in our various venues are doing more than building up ‘our numbers,’ more than creating busywork for the cause of peace and justice? This question was posed to panelists with mostly muted response. Only a few even acknowledged the problem of transformational language that becomes incarnate in activities that are more likely to fulfill the expectations of funders and governments than change the core dynamics of schools and communities. And the other interesting question, also largely posed without response, referred to the ways in which we seek (or don’t ) the clarification of what it is that we want from others, in this instance ‘others’ referring primarily to that elusive “international community.” This particular question had two components, what we want bound together with how we want it. You would think that this combination question would be easy for activists and policymakers to address, but this is rarely seems to be the case. For the Bosnian representatives, as for many others, telling the story of wants and needs comes in the form of lots of complaining about conditions and an equal measure of pleas to the aforementioned (and also not particularly well understood) international community to ‘do something’ regarding the sources of our collective misery. The obvious follow up to this combination of discouraging words and pleas for change is, well, what do you want? What in your view would be the best way for the international community or any other interested party to assist? And how would it be best to provide that assistance so that we, for instance, avoid dependencies, ensure local control, help guarantee complementary of policy responses, take a longer remedial view instead of just addressing the most current needs? As someone who has spent much of his life counseling the problems of others, I remain surprised at the inability of people to really come to terms with what they want from others and provide some guidance as to the form that this assistance should take. Many personal relationships are undone by this lack of clarity. Remembering birthdays and anniversaries, of course but with gifts that are thoughtful rather than perfunctory, putting care into selection rather than simply buying the first thing that seems ‘good enough.’ People have desires, but few want things ‘thrown at them’ in a take-it-or-leave-it manner. Faced with such a choice, many would choose the ‘leave it’ option. It is much the same with international assistance. Activists working in places like Bosnia face considerable challenges including often chronic resource deficits. They need a hand from time to time, as we all do, if we are to reconcile an often unjust world. But that ‘hand’ requires guidance of sorts if it is to find the most appropriate and effective end use. For those seeking to assist, there is simply more they need to know beyond the fact that there are problems needing to be addressed. Needs and wants can be prioritized. They are often linked to each other. They have contexts. And there are times when inappropriate assistance is worse than no assistance at all. In my view, a healthy collaborative exchange requires more clarity from potential recipients, more discernment about needs and expectations, more insistence that any assistance be about more than crunching numbers to fill funder expectations. This successful matching of needs and resources, whether in development, education, illicit arms or any other areas of policy concern takes more sensitivity from those who claim to assist. But it also requires more clarity from the assisted. A common refrain in counseling personal relationships is the belief that he/she should already know what “I” want and need. This is an understandable but altogether elusive claim that presumes more clarity on the needs side and less sensitivity on the assistance side. The good human rights discussions held in Hungary served as reminders that proper assistance requires sensitive assessment, but that clarity of needs and wants is equally an indispensable, if often overlooked, part of the assistance equation. If we are not willing (or able) to explain clearly what types and forms of assistance would be most helpful to us and our constituent communities, the odds of getting what we want greatly diminish. Culture Clashes: Is a UN ‘culture of peace’ possible? Editor’s note: This is the second post from our human rights associate, Karin Perro. Karin has been firmly planted in either the UNGA 3rd Committee (Human Rights) or the Security Council for the past few weeks and this post is a reflection based in part on what she has seen and heard. Since the beginning of September 2014, I have had the enormous pleasure and privilege of working with GAPW and witnessing first-hand the diverse workings of the UN system. Recently, the opinion I shared with a colleague regarding the UNGA’s Programme of Action on a Culture of Peace elicited a strong and unexpected reaction. Noting that a culture of war has pervaded civilization for so many generations, the notion of a ‘culture of peace’ was dismissed as a conceptually futile endeavor. As a former anthropologist, I had to asked myself if such an argument had merit – is a culture of peace an illusory goal? Is the assumption valid that all of us (or at least a critical mass) want global peace? In spite of some assertions that peace is a universal imperative, we’re now experiencing an increase in regional conflicts that threaten global security, with some actors justifying the use of force in promoting the global peace mandate, metaphorically ‘fighting fire with fire’. Many UN member states may claim aspirations to a utopian ideal, but those states often seem to take their cues from dystopian playbooks. 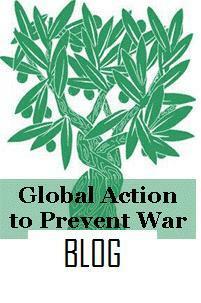 Historically, we have witnessed a global culture predicated on war, violence, and force. In light of our collective past, the question to consider is this: are we consigned to Hobbesian notions that our ‘natural state’ is a state of war? I think not, particularly in light of the considerable headway made by the international community in promoting security and human rights – the rights of women, children, indigenous societies, and persons with disabilities, just to name a few. Changes in normative behavior occur at a seemingly glacial pace, but changes are evidenced by slow but steady progress in the development and implementation of myriad peace, security, and human rights mechanisms, certainly including those mechanisms housed at the UN. Of course, organizations have their own cultures as well. In spite of the urging of UN mandates, culturally reinforced perspectives on rights and peace have the potential to impede consensual agreement on collective goals. While the essence of the ubiquitous ‘other’ has been subjugated by political correctness and diplomatic restraint, an ‘us versus them’ attitude at times still percolates beneath the collaborative veneer of UN discourse. Too often acrimonious exchanges, exposing the ugliness of entrenched hatreds, bigotries, or distrust, constrain constructive progress in UN fora, whether in GA committee meetings, SC debates, or side events hosted and attended by NGO representatives. If we are to promote a global ‘culture of peace’ it seems only fitting that a proper ‘peace culture’ paradigm should exist within the UN structure itself. Yet there remain troubling issues surrounding culture, ethnicity and religion that are stubbornly embedded within global governance, and perpetuated, however unwittingly, across sectors. While all stakeholders are seemingly invited to an egalitarian governance banquet, not everyone drinks from the same gilded cup. There is always a danger that hegemonic powers will impose their own vision of justice, however well intentioned, upon the less empowered. It is too easy to suppress or marginalize nontraditional voices that fail to mimic our own particular worldviews. It’s worth remembering that culture is inherently dynamic and subject to change through societal forces, whether those forces are initiated by international bodies, imposed by national governments, sprung from incipient grassroots movements, or engendered by powerful but singular voices. One may opt to attenuate or accelerate the forces at play – but either way it is a choice to be exercised. To foster a global ‘culture of peace’ there are several skills worth cultivating more robustly, including the ability to see (and even appreciate) the world through the “lenses” of others as well as our own. But first we must do all that we can to ensure an open and impartial global governance environment where the expressions of divergent opinions are embraced rather than muted or even suppressed. Editor’s note: The following is from Gord Breedyk, currently in residence at GAPW where he is exploring ways that the UN can connect with his own work at Civilian Peace Service Canada. GAPW has long been supportive of this civilian-based initiative and plans to stay connected longer term. We need more of the skills and competencies that Gord and his team help to assess. I have recently been given the privilege of working with Global Action to Prevent War and Armed Conflict (GAPW) including observing and learning from UN meetings. These meetings have ranged from Security Council briefings on Gaza, Mali, Syria and Ukraine to committee deliberations on: Human Rights; Disarmament, Non-Proliferation and Arms Control; Interstate Arbitration and Enforcement of Decisions; Peacekeeping Operations and Field Support; International Law and Asymmetric Warfare; Women Redefining the Terms of Peace Negotiations; the Peacebuilding Commission’s response to Ebola; the Power of Entrepreneurship; and a Report on the Economic and Social Repercussions of the Israeli Occupation. And this is but a tiny sample of all the meetings taking place in a relatively typical fall week at the UN. Hugely impressive to an outside observer is the breadth and depth of subject matter deliberated by UN delegates; also the overall dedication, civility and mutual respect practised by most of them, often despite deeply held and contradictory views, and often despite significant frustration at the apparent inability of the UN as an institution to a) prevent what often seem to be relatively predictable catastrophes and b) adequately deal with them once they do materialize financially, operationally and, yes, politically. Rebuilding is one thing. Prevention, even transformation of conflict-related threats that can minimize destruction is quite another. But where is the capacity and skill needed to prevent and mediate conflict going to come from? We feel that the UN would be well-served by engaging Accredited Peace Professionals as a supplement to the UN’s own recent commitments to involve more civilians in its operations. Like well-trained doctors, lawyers, engineers, soldiers, etc., Accredited Peace Professionals are practitioners in the field of international negotiation, mediation, arbitration and diplomacy. These practitioners are held to high professional standards through rigorous assessment of values and competencies in the peace field and, once qualified, formally accredited as meeting the required standards. How would Accredited Peace Professionals supplement Peacekeepers and other UN capacity? Whereas UN Peacekeepers are primarily military professionals providing (increasingly complex) mandated peacekeeping services in areas of conflict, Peace Professionals are accredited for competencies and values in preventing, mitigating and transforming conflict in all aspects. As with any other profession (including the military) these professionals will have met the standards relevant for their peace/mediation vocation. In other words, Peace Professionals have demonstrated skills in areas that Peacekeepers struggle to address as part of their increasingly complex mandates. What difference could this additional assessed capacity make? The UN and its agencies could benefit from the skills and energies of hundreds, ultimately thousands of highly trained, thoroughly assessed Accredited Peace Professionals, persons focused on reducing the number of violent conflicts and the levels of conflict (where they still occur) and, significantly, minimizing the impact on civilians including damage to their infrastructure. Such professionals would also ease demands on UN and member state resources. A reduction in civilian lives lost and/or in the numbers of IDPs and refugees would more than offset the cost of deploying Accredited Peace Professionals. Civilian Peace Service Canada (CPSC) has developed and piloted an assessment and accreditation methodology that has withstood academic and professional scrutiny. Its rigour ensures dedicated and competent professionals ready for service in peace and mediation related fields. We are now looking to significantly grow the number of Accredited Peace Professionals to meet the growing capacity gaps at the UN and elsewhere. (More on this at: www.civilianpeaceservice.ca). We are aware and supportive of the need expressed in different UN settings for more gender balance in areas of mediation and other peace processes. But there is a broader need as well. We simply don’t have enough capacity to handle all of the crises (and threats of crises) that are the focus of so many UN briefings and discussions. Accredited Peace Professionals can help fill this gap. For the past two years or more, we have provided you with real time (and through the blog) analysis of major events, discussions, resolutions and decisions that make up the work of today’s United Nations. From ECOSOC and the Security Council to Treaty Bodies and GA Committees, we have attempted to communicate — within the limits of Twitter — key ideas and developments from UNHQ that continue to shape the world, often for good, sometimes for outcomes more ambiguous than that. Soon parts of GAPW will go on a short hiatus, traveling to Hungary and Central Africa to participate in the Budapest Human Rights Forum as well as a series of workshops and events organized by the Martin Luther King Jr. Memorial Foundation in Cameroon. Karin Perro (@KarinPerro) and others will remain in New York and we will all reach out when and where we can, but likely not at our normal levels of coverage until December 4. It is vitally important to our work that we make these trips to consult with partners on issues and organizational matters, to be inspired by the important work occurring in places far removed from New York, even to have our own mission assessed and refreshed. As many of you already know, it is hard to make honest assessments of our value — and our limitations – in places like this. We ‘get away’ much less often than we used to, making those times when we can connect with diverse communities that much more precious. In the interim, we would like to communicate three things to all of you. First, to let you know how much we value your policy engagement. Twitter is not to be confused with brain surgery, to be sure, but there is a skill to communicating important things in limited spaces, and we are enormously grateful that you value our communication and are so generous with your own. Second, as some of you know we have welcomed many interns and fellows over the years, people who come to us to learn about the UN, conduct research, complete books, interview diplomats and much more. As we move forward as an office, we welcome communication from others interested in sharing our hospitable and connected space. Finally, as with your own work, ours doesn’t happen for free. For the past 10 years, we have more or less lived on the edge, with modest budgets of $200,000 or less and uncertain cash flows. Of course, this is how most of the world lives, and we didn’t get into this to occupy the high rises that now surround UNHQ. Still, we have basic salaries to provide, office infrastructure to maintain, occasional trips to take, publications and policy analysis to complete, fellows and interns to support, and more. If you can help us in any way, we would be grateful. The easiest way to contribute would be to use the Just Donate button found on our homepage: www.globalactionpw.org. You can also send a check to GAPW, 866 UN Plaza, Suite 4050, New York, NY 10017. Please feel free to pass on this message to others who might be able to help out or who would be interested in joining our policy discussions. Thank you as always for staying in communication with us. We promise never to abuse the privilege of your most welcome policy collaboration. Of the many insight-filled side events this month at UN Headquarters, we were especially pleased to be present for a discussion on the Convention against Torture Initiative (CTI) launched in March by the governments of Chile, Denmark, Ghana, Indonesia and Morocco. This eclectic group of governments, supported by the Association for the Prevention of Torture, has committed over a 10 year period to attain universal ratification of the UN Convention against Torture. Their commitment includes “identifying challenges and barriers to ratification” and “building a global platform” of diverse stakeholders. This CTI event dovetailed effectively with other torture-related events taking place at UN Headquarters – focusing on issues such as medical forensics, solitary confinement, treatment of prisoners, and coerced ‘confessions’ — many of which included the presence of Juan Mendez, UN Special Rapporteur on Torture and Other Cruel, Inhuman and Degrading Treatment or Punishment and his colleagues with the Anti-Torture Initiative at Washington (DC) College of Law. Along with colleagues worldwide, including and especially Paris-based FIACAT, Global Action sees significant promise in CTI. Protection from torture is a ‘first generation’ rights issue in part because of its corrosive impact on the promotion and protection of other rights. Torture undermines the fabric of community life, sowing suspicion of neighbors and their government officials, impeding free speech, and severely dampening enthusiasm for participation in political and cultural life. Indeed, torture has the power to significantly unravel the social contract between citizens and governments, a ‘contract’ already fragile enough in an age of terror, climate upheavals, unchecked trafficking in weapons and persons, official corruption, mass atrocity violence and grave economic uncertainty. With all due respect to the early stages of CTI development, we would like to offer a couple of reminders, hopefully helpful. First, we note that the last laps of any long race are generally the most challenging. In this regard, it is important to note that those states which have, to date, resisted ratification of the CAT (see https://treaties.un.org/Pages/ViewDetails.aspx?mtdsg_no=IV-9&chapter=4&lang=en) have significant (if not often legitimate) reasons for resistance. Ratification did not just ‘slip the mind’ of recalcitrant states. Moving these states to full engagement with the CAT will take much conversation, negotiation, perhaps even a bit of horse trading and coercive prodding. Achieving universal ratification of the CAT is no small matter under the best of global circumstances. And these times are certainly not the best. Second, it is imperative that we involve in this work as many willing and skillful hands as we can locate. The proposed ‘global platform’ must stage as large and diverse a group of stakeholders as it can handle. This of course includes many stakeholders without specific branding in the human rights area or access to centers of policy influence. Torture is an issue that impacts development priorities, educational opportunities, the policy participation of women and marginalized groups, even fair access to water and other resources. People who work on these related issues – or are directly impacted by their challenges – must also receive an invitation. The key here is to ensure as much as possible that participation in this drive toward universal ratification is governed less by who has a professional interest and more by who has a personal stake. From this perspective it is clear that the stakes are high for all of us, well beyond the domain of human rights experts and issue-specific advocates. If CTI is to achieve its goal, and we all need for this to happen, the circle drawn to help identify and energize relevant stakeholders must be large and welcoming.